Treatment for depression can be a long process. Two percent of all children and many adults suffer from depression. Don’t be grouchy and angry; find a reason to laugh and smile. Treatment for depression can be a long process. Your doctor may start medications and/or behavioural therapy treat depression but it may take weeks for a positive effect to be noticed. In the meantime you can take certain measures such as things you can avoid and things to do to heal yourself from depression. Remember that you are not the only person who is probably depressed. According to some studies, two percent of all children and many adults suffer from depression. So do not feel like an outcast. Anybody can get depressed and depression is very treatable. Many people with depression start to think that it is because of their weak mind. But depression is not a sign of a weak individual who does not know how to handle problems and stress and it cannot be controlled by just being strong in the mind. It is actually a disease so don’t feel guilty. Try to be positive and follow your treatment. If you feel your symptoms are getting worse, you are no longer in control, you have thoughts of suicide, you have started to abuse alcohol, drugs, or other addictive substances; act on it and call your doctor. Do not be afraid to talk and seek help. When you are depressed, you may not like to do anything or be with anyone. But hiding out and doing nothing will make you feel worse. Try to be active even though you don’t feel like it. Motivate yourself to be active, exercise, take interest in your work, family and home. Keep yourself busy by working at home, at your job or by volunteering for social work. Being busy keeps the negative emotions at bay. When you are depressed everything may appear bleak. You may have negative thoughts about yourself and your life like you are a failure beyond all hope. Do not get lost in negative emotions. Try to overcome the negative thoughts by trying to remain positive and staying focused. Think of the positive achievements of your life rather than thinking about the bad times or failures. Make small goals. Break your tasks into smaller ones so that you can finish it more easily and feel satisfied. Exercise makes you fit and healthy and improves the overall feel good feeling about you. Do anything that enjoy such as walking, jogging or cycling. If possible exercise with your partner or with a friend. Isolating yourself will not help. Mix with family and friends. When you are surrounded by family and friends it has a positive effect in preventing depression. Depression grows when you are lonely. Don’t be grouchy and angry; find a reason to laugh and smile. Depression grows when you are filled with negative emotions. When you are depressed you may turn to alcohol, drugs, or other addictive substances—it may seem like an easy way to drown your sorrows. But drowning your sorrows will not make you feel better for long. And do not make major life changes such as leaving your job or your spouse while you are depressed. 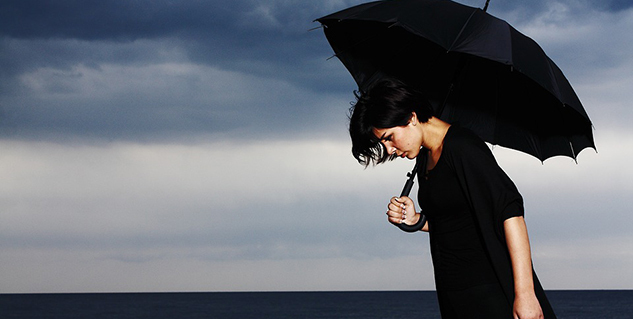 A bad job or relationship may seem to be the reason for you being depressed but it may be possible that you could be taking a bleak view because you are in fact depressed. These are typical things that we all know are important to be mentally healthy. But is important to adopt them and care for yourself when you're dealing with depression.